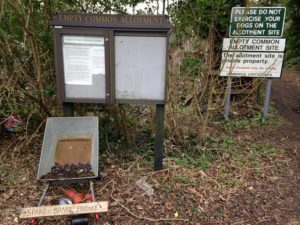 The entrance to Empty Common allotments in March 2018. This unique site has flowing water on both sides. Tenants are encouraged to join the Empty Common Allotment Society.